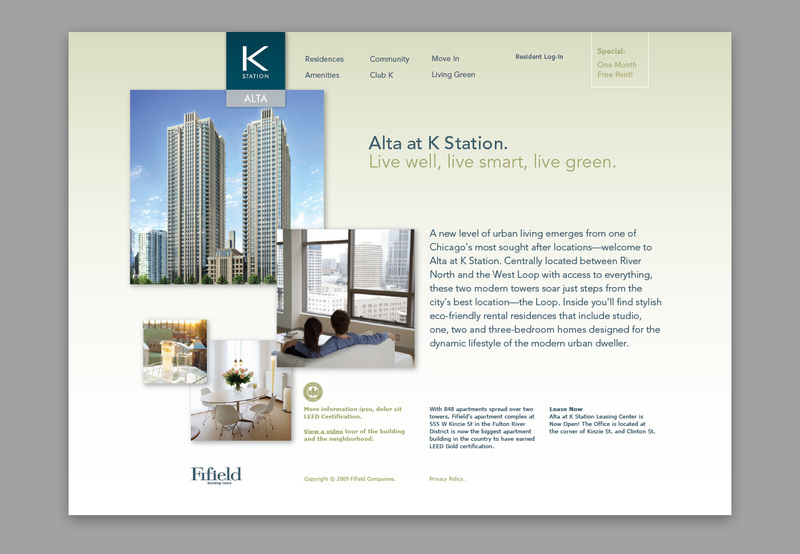 Alta at K Station is on of a series of modern, high-end lofts in Chicago. 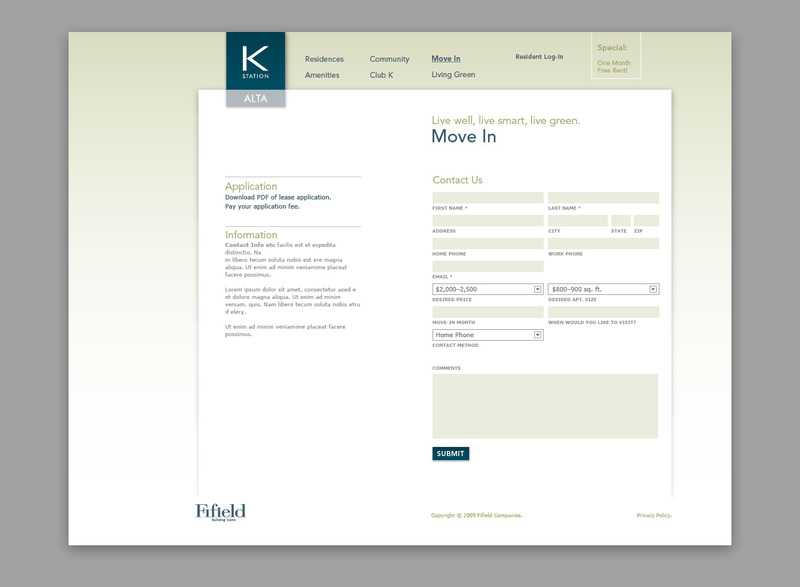 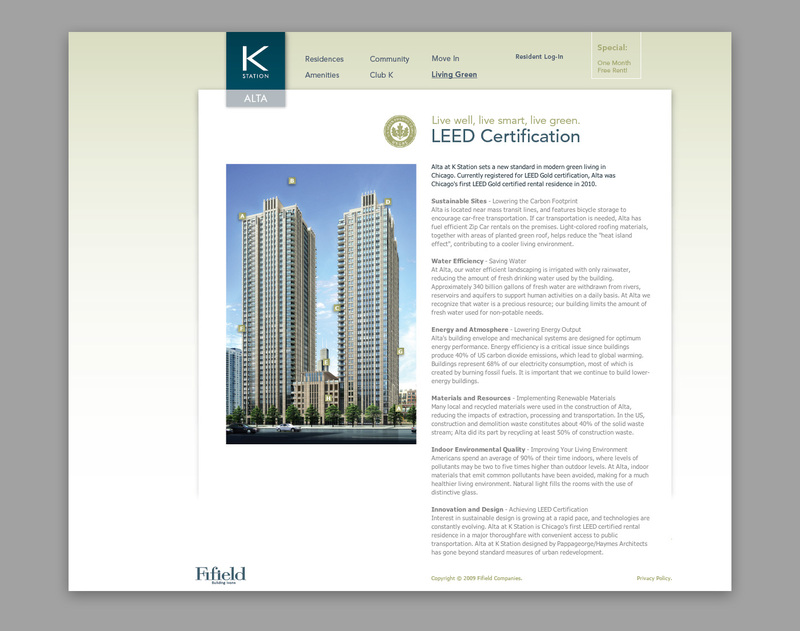 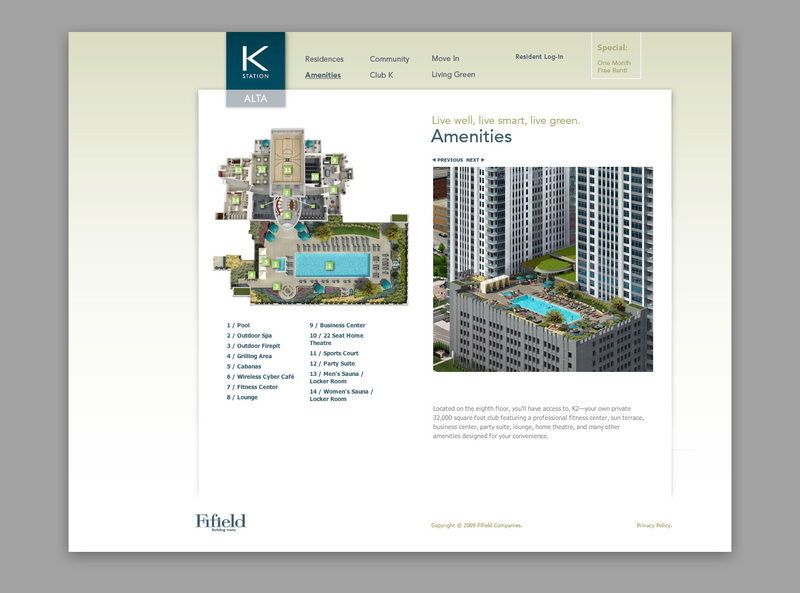 The developer is a client of Real Estate Arts asked Hazen to design the web site for the building. 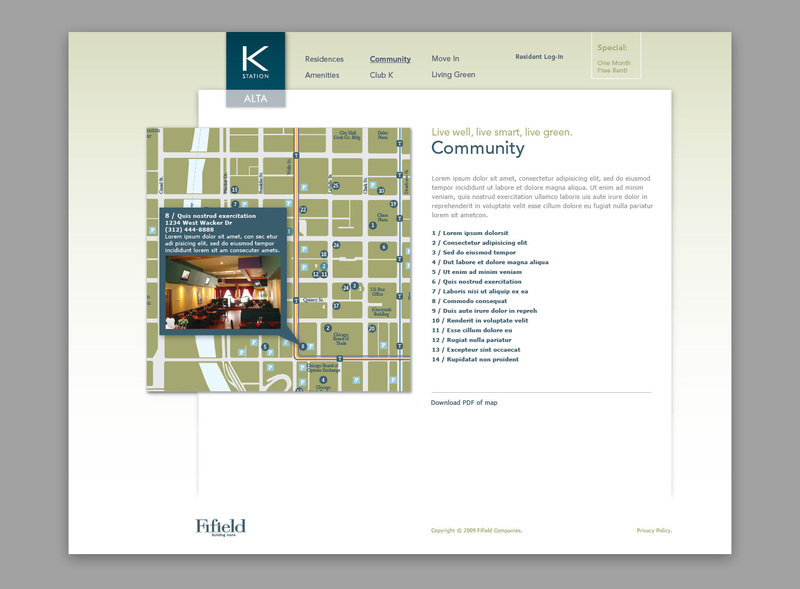 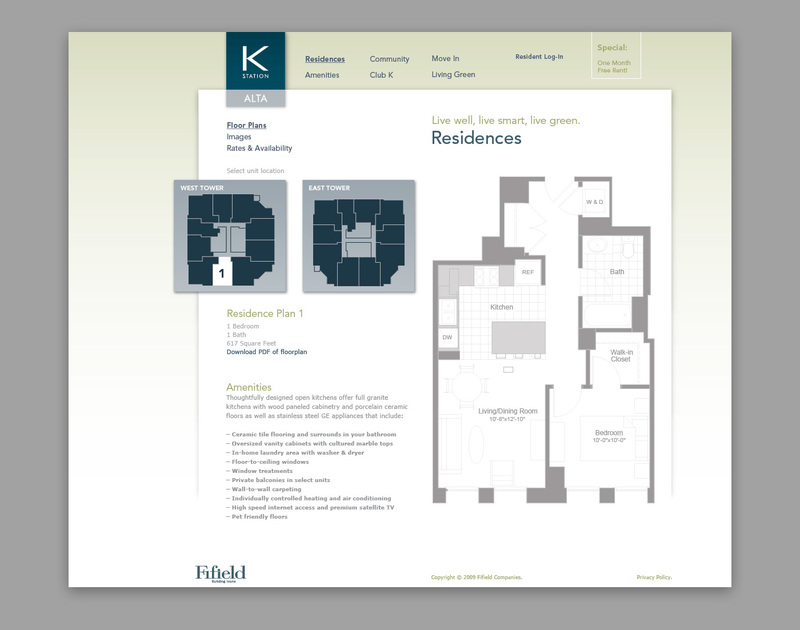 The result is stylish but clean, and has interactive floor plans and neighborhood maps and houses the newsletter, a client area, and an online application.